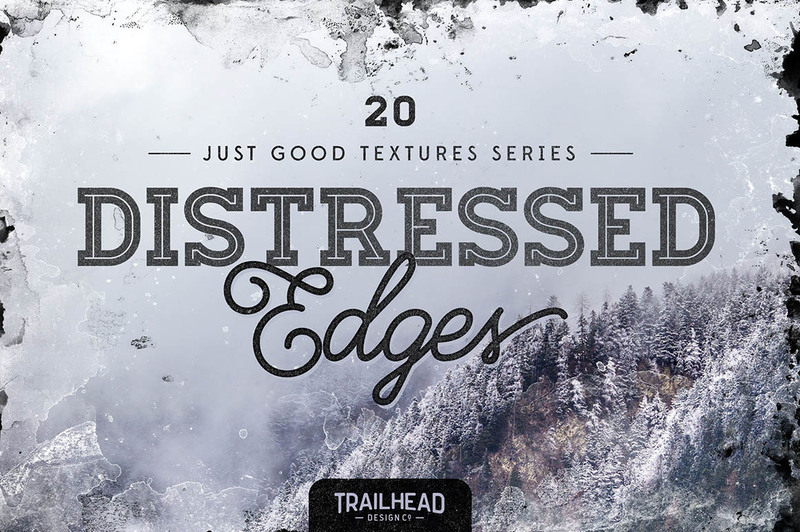 Just Good Textures – Distressed Edges	By: Trailhead Design Co.
Use these 20 distressed edges to frame your artwork with a stunning grungy texture. 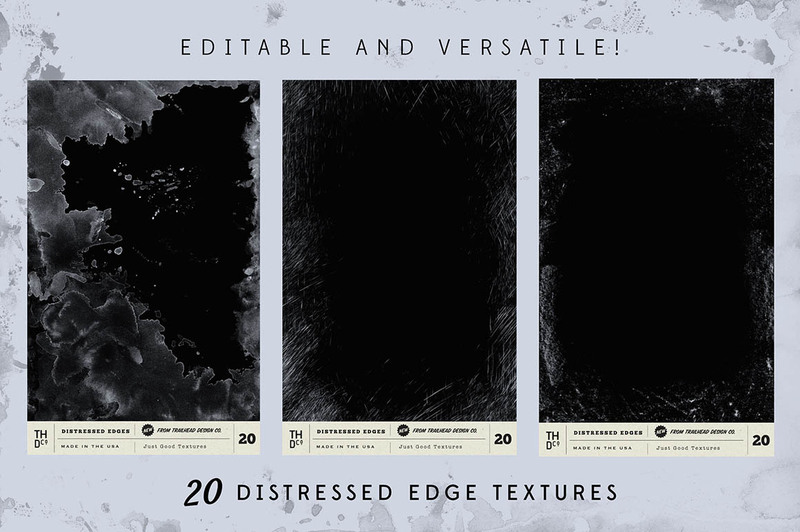 Updated with new textures and vectors and continuing my series ‘Just Good Textures’ this set includes 20 distressed edges. 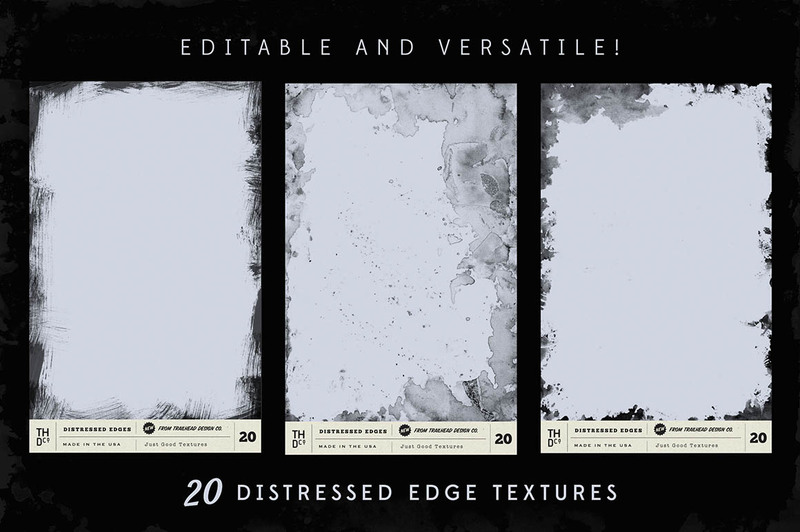 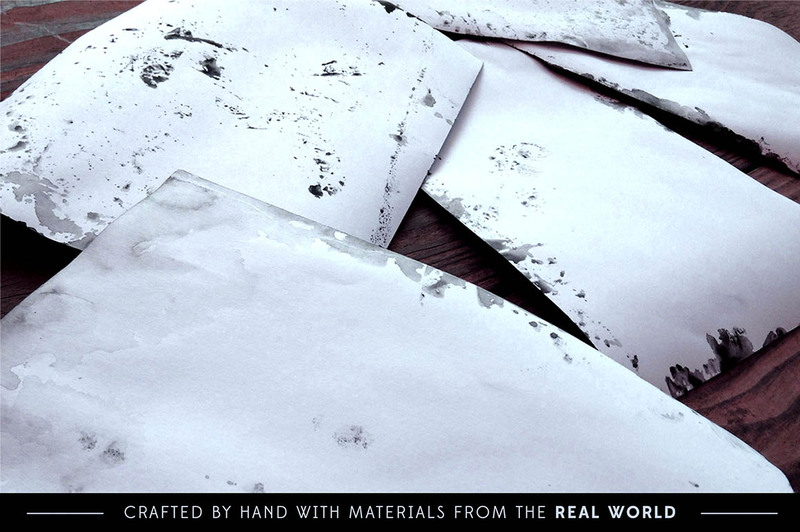 Just like all my other textures, these were created by hand with ink on paper for an authentic and unique look.